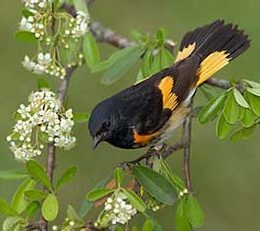 Numerous species of songbirds migrate between their winter homes in central and south America to breed in the United States and Canada. Most of these birds migrate across and around the Gulf of Mexico and pass through Houston in April and May. These small colorful birds typically fly inland about 50 miles before landing and are very eager to refuel to complete their migration further north. They are particularly looking for caterpillars and other herbaceous insects. 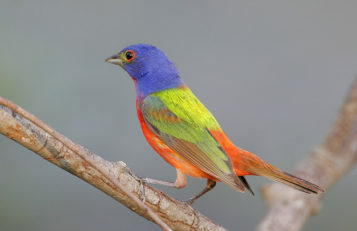 Have you seen a Painted Bunting, Scarlet Tanager, or Cerulean Warbler? Magnificent birds. The birds that migrated through Houston in the spring start returning to Central and South America in August and many might again appear in Houston's yards and parks in the fall. Fall migration in the eastern US is more prolonged, August - November. And many songbirds in the fall include fruit and seeds in their diet. Purple Martins spend the winter in South America and breed in North America. They start nesting early in the spring, only nest once, and by July start forming migratory roosts. Thousands, even hundreds of thousands, gather together is a small area in the evening to roost together. Typically the same roost sites are used every year. Watching so many birds gather and go to roost is quite a spectacle. 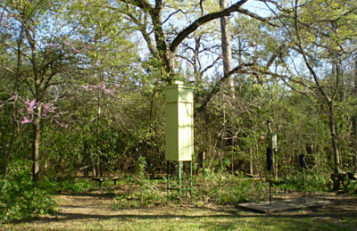 Houston Audubon will post information about roost sites and watch parties. Chimney swifts are unusual in that they stay aloft all day feeding on insects and roost and nest in chimneys or similar structures. 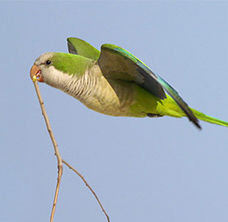 They cannot perch in trees or on wires like other birds. They are declining because of a lack of nest sites. 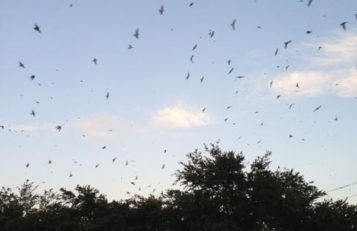 Finding and preserving structures used by swifts is important, and counting swifts as they enter a chimney at dusk is a popular activity. The only hummer nesting in the eastern half of the United States is the ruby-throated hummingbird but there are many species in the west. And while these western hummers generally head to Mexico and central America in the winter some also winter along the Gulf coast. 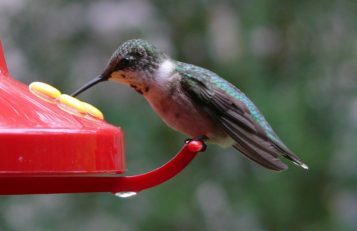 Creating a bottanically rich yard and hanging several sugar water feeders will often bring a western hummers to your yard. They might arrive as early as September and stay as late as early April. The more common hummers you might attract in the winter are: Rufous, Black-chinned, Broad-tailed, and Calliope hummingbirds. 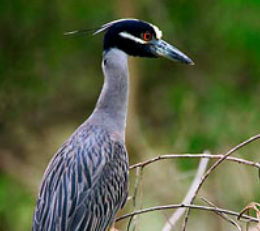 Black-crowned and Yellow-crowned Night Herons are large wading birds that fish is the bayous mostly at night. They are becoming common nesters in our large urban trees. 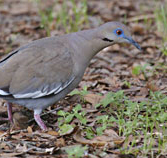 Within the last 10 years, White-winged Doves have become extremely abundant in central Houston. In the spring their "who-cooks-for-you" song and nesting activity seems to be in almost every tree in some urban areas. Even in the winter there are numerous urban White-winged Doves. As many as 10,000 have been counted on winter mornings flying through the Medical Center heading southeast. It seems that other doves--Mourning, Collared, and Inca--are now more uncommon. And is this extreme abundance of White-winged Doves impacting other birds? Will the numbers of White-winged Doves crash at some point? 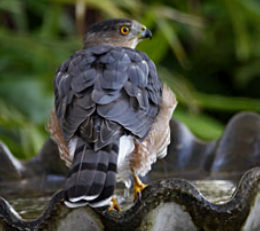 In recent years Cooper's Hawks seem to have become very common in Houston at all times of year. Perhaps this is the result of such plentify prey in the form of white-winged doves. 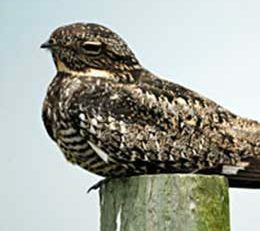 Nighthawks are aerial insectivores often seen flying around in the city at dusk. They migrate between north and south America and their natural habitat is prairies and savannahs but they do nest on building rooftops in cities. Perhaps rooftops with gravel is required? 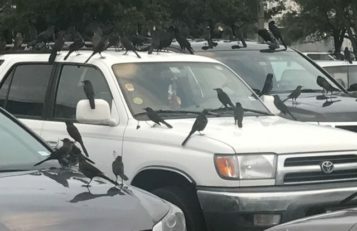 In the winter, grackles congregate in great numbers in various locations throughout the city, including the Galleria area.